The recording of today's webinar, "Canada's Top 10" by Kathryn Lake Hogan is now available to view at www.FamilyTreeWebinars.com for free for a limited time. Explore the top 10 websites for researching your Canadian and Ontario ancestors. Learn where to find the best online resources for Canadian record groups as census, immigration, birth, marriage and death records, newspapers and more to help you get a jump on your research. If you could not make it to the live event or just want to watch it again, the 1 hour 27 minute recording of "Canada's Top 10" is now available to view in our webinar library for free for a limited time. Or watch it at your convenience with an annual or monthly webinar membership. Join us and Kathryn Lake Hogan for the live webinar Wednesday, June 28, 2017 at 2pm Eastern U.S. Register today to reserve your virtual seat. Registration is free but space is limited to the first 1,000 people to join that day. Before joining, please visit www.java.com to ensure you have the latest version of Java which our webinar software requires. When you join, if you receive a message that the webinar is full, you know we've reached the 1,000 limit, so we invite you to view the recording which should be published to the webinar archives within an hour or two of the event's conclusion. It all started when Kathryn Lake Hogan, UE, PLCGS, was a Girl Guide leader wanting the girls in her group to learn about their heritage. Why not teach them about researching their family history? To do so, Kathryn had to first learn how to research her own ancestry. That was over 18 years ago, and today, Kathryn is an author, educator, speaker and professional genealogist specialising in finding your ancestors in Canada. She is the owner of the Canadian-based genealogy business, Looking4Ancestors. 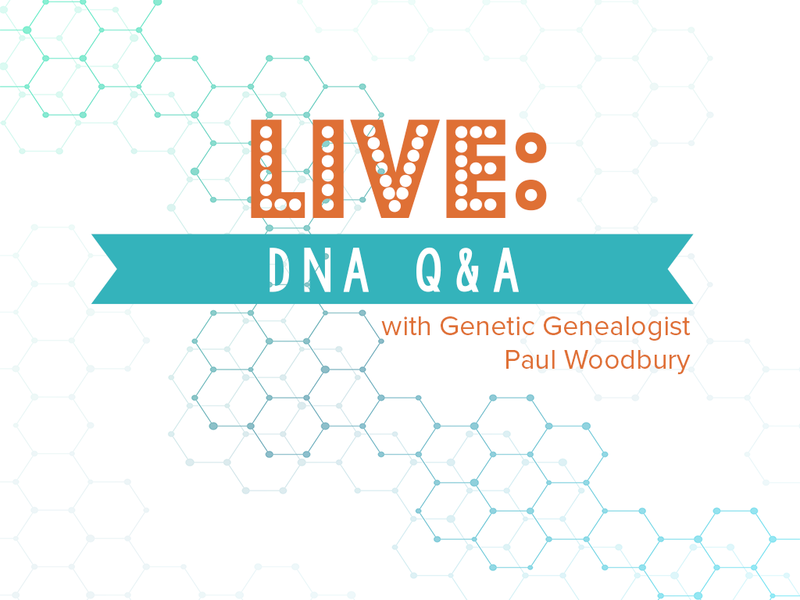 Missed the Live DNA Q&A from Legacy Tree Genealogists? Watch the FREE Broadcast Now! While at the SCGS Jamboree in Burbank, California, Legacy Tree Genealogists' Paul Woodbury answered questions users submitted about genetic genealogy and how to use DNA testing to extend your family history research. The free broadcast is now available to view at https://www.legacytree.com/live-dna-qa-jamboree-2017 complete with transcript and subtitles. Watch as Paul answers questions all about ethnicity estimates, mirror trees, verifying Native American ancestry and more! The recording of today's webinar, "Virtual Family Reunions: Super Easy, Super Fun" by DearMYRTLE and Russ Worthington is now available to view at www.FamilyTreeWebinars.com for free for a limited time. If you could not make it to the live event or just want to watch it again, the 1 hour 28 minute recording of "Virtual Family Reunions: Super Easy, Super Fun" is now available to view in our webinar library for free for a limited time. Or watch it at your convenience with an annual or monthly webinar membership. The recording of today's webinar, "Beating the Bushes: Using the GPS to Find Jacob Bush's Father" by Elissa Scalise Powell, CG, CGL is now available to view at www.FamilyTreeWebinars.com/BCG for free for a limited time. Eli Bush's grandfather was reported to be Daniel Bush, but was his father Jacob? Witness the research process unfold as land, probate, census, tax lists, and church records are correlated. Watch out for pitfalls such as different men with the same name and other red herrings. If you could not make it to the live event or just want to watch it again, the 1 hour 24 minute recording of "Beating the Bushes: Using the GPS to Find Jacob Bush's Father" is now available to view in our webinar library for free for a limited time. Or watch it at your convenience with an annual or monthly webinar membership. Join us, DearMYRTLE, and Russ Worthington for the live webinar Wednesday, June 21, 2017 at 2pm Eastern U.S. Register today to reserve your virtual seat. Registration is free but space is limited to the first 1,000 people to join that day. Before joining, please visit www.java.com to ensure you have the latest version of Java which our webinar software requires. When you join, if you receive a message that the webinar is full, you know we've reached the 1,000 limit, so we invite you to view the recording which should be published to the webinar archives within an hour or two of the event's conclusion. DearMYRTLE is the nom de plume of Pat Richley-Erickson, author of the award-winning DearMYRTLE Genealogy Blog, consistently among the top 5 family history blogs internationally, where her focus is on beginning genealogy topics. A speaker at regional and national conferences including several live videocasts at RootsTech2011, 2012 and 2013, Ol' Myrt is slated to present two G+ Hangout on Air workshops at RootsTech 2014. DearMYRTLE is a co-founder of the Genea-Quilters group on Facebook, and founder of www.GeneaWebinars.com, a centralized calendar and blog for all known genealogy webinar hosts and virtual presenters. Have fun watching Myrt LIVE on "Mondays with Myrt" on DearMYRTLE's YouTube Channel and Google+ Community. Online since 1985 in membership development with Q-Link's Your Family Tree and later on the leadership team of AOL's Golden Gate Genealogy Forum, Pat is a retired post-secondary computer instructor. She and her husband live in Salt Lake City, Utah, just a stone's throw from the Family History Library. Russ Worthington lives in the beautiful Northwest corner of New Jersey that most people don't know exists in his beautiful state (no exit numbers). He started "collecting his ancestors" about 15 years ago when his youngest daughter gave him a genealogy management software program as a gift to "give him something to do." Little did he know where this would lead him and the people he would meet. Russ enjoys helping others in their hunts and in building their family relationships. Webinar Description: Military repatriation research requires particular credentials and some less common genealogical skills: finding living relatives of people who died decades ago, understanding military next-of-kin rules, tracing very specific lines for mitochondrial and Y-DNA testing, and engaging in delicate discussions with people who often were either very close to the soldier or who have no idea who he was. No two cases are the same, and the approach when the soldier was an only child can be very different from when he had eight siblings. Creative use of small details in records is often essential, and family members can be critical for locating someone otherwise impossible to find. Come learn about one researcher's approach to these cases, the unexpected obstacles which sometimes arise, and the satisfaction of finding those all-important relatives and bringing cases to a successful conclusion. Ruy Cardoso, Certified Genealogist®, has completed 20 military repatriation cases for the US Army since the summer of 2015, all concerning WWII soldiers. 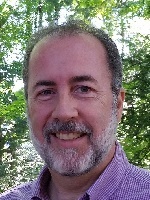 He is currently serving in his second term as a member of the APG Board of Directors and has been an active member of the New England chapter for the past seven years. In addition to his military work, Ruy has assisted clients with other projects that require finding living people as well as more traditional ancestry-driven projects such as lineage applications, compilation of multi-generation family trees, and college scholarship applications. Thinking Ahead to Retirement: Even from the Genealogy Business You Love!